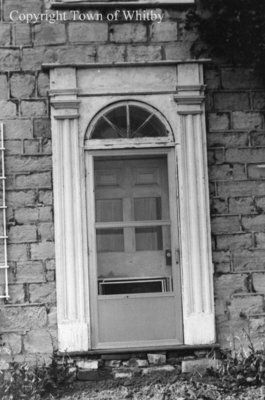 A black and white photograph of the front door of 780 Garden Street in Whitby, Ontario. 780 Garden Street, c.1970, Photographer Unknown. Whitby Archives A2014_027_001.